Jurgen Klopp jumped to the defence of his players in front of the media on Friday, ahead of Everton’s arrival at Anfield this weekend. The Reds will host the Toffees on Sunday afternoon in a huge Premier League clash, just four days on from their disappointing 2-1 defeat against Paris Saint Germain in the Champions League. Klopp’s men were overrun in the middle of the park at the Parc Des Princes, as Italian midfielder Marco Verrati dictated the pace of the game for the hosts, with Juan Bernat and Neymar grabbing the decisive goals either side of a James Milner penalty for the visitors. The result now leaves Liverpool needing a 1-0 win, or a victory by two goals or more against Napoli at Anfield next month to qualify from Group C, after the Italians secured a comfortable 3-1 win against Red Star Belgrade. 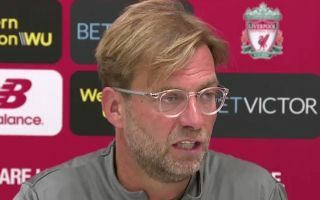 Klopp angrily dismissed suggestions that his team were caught out in midfield against PSG in today’s pre-Merseyside derby press conference, citing their defensive record in the league as evidence of the contrary. “Not as controlled? We’ve conceded five [league] goals and you talk about our midfield is overrun,” the German boss said, as per the Liverpool Echo. Liverpool are still unbeaten in the Premier League and currently sit just two points behind leaders Manchester City in the table, but cannot afford to drop any points with the champions in action against Bournemouth at the Etihad on Sunday. 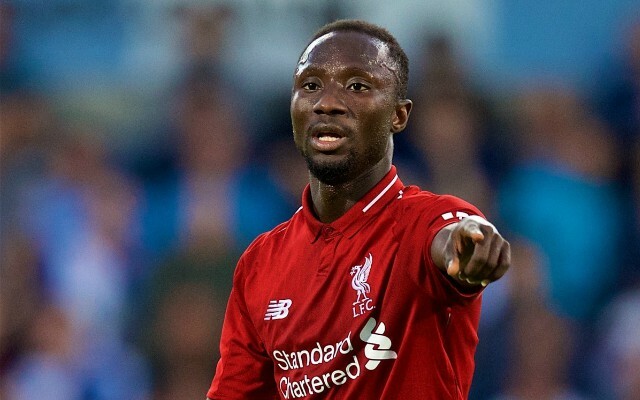 Jordan Henderson will miss the Merseyside derby through suspension which could see Naby Keita or Fabinho recalled to the starting XI. When asked if the pair will be ready for the game, Klopp’s response was one of frustration and bemusement, as he stated: “Yeah, absolutely. I really don’t get a lot of your questions today but, sorry, maybe you are not happy with my answers. “If I would say now, ‘I think we have a real problem with that, I don’t think we have enough time to make them ready for a derby’, what kind of idiot would I be?